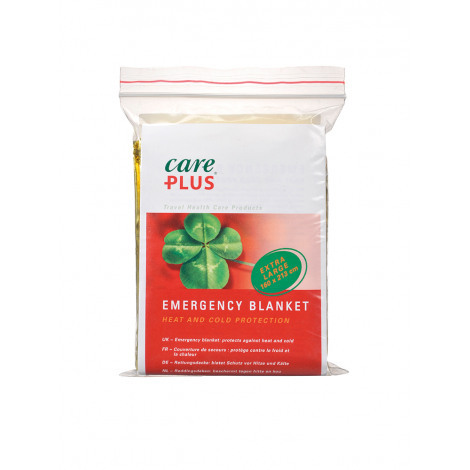 Care Plus Emergency Blanket is an emergency blanket that can be used for example in the event of work, traffic and ski accidents, in the mountains, and for fires and emergency weather. 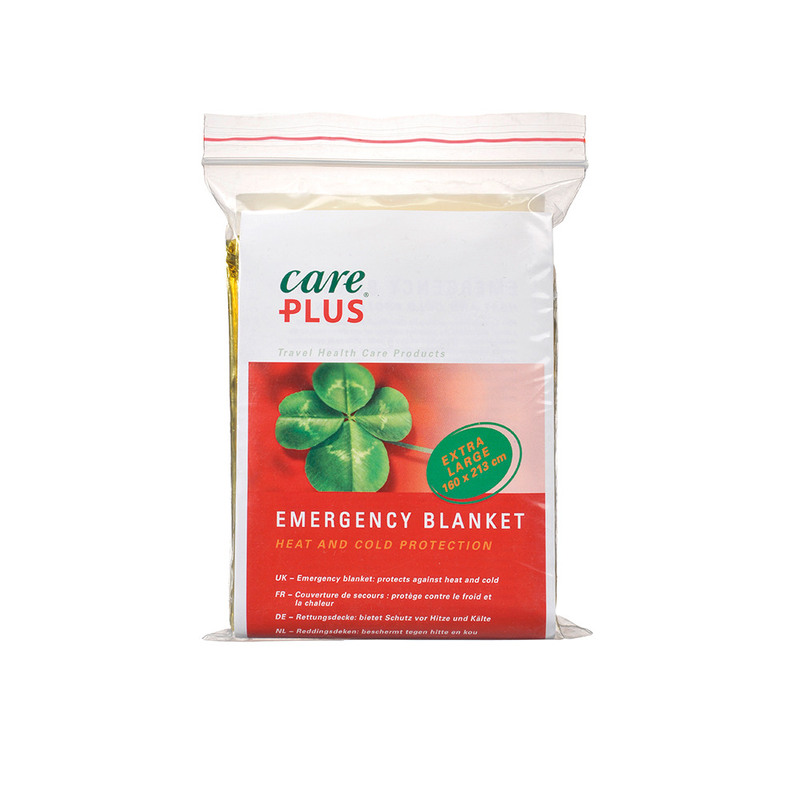 The person’s face must not be covered with the blanket. Protection against the cold: silver side inside. The aluminium layer reflects the body temperature back to prevent hypothermia and freezing.